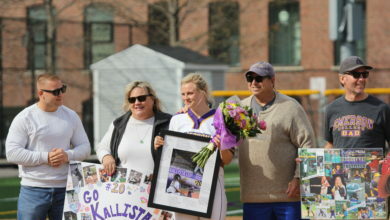 The women’s lacrosse team celebrated its senior players Saturday afternoon while their families and friends applauded from the bleachers. 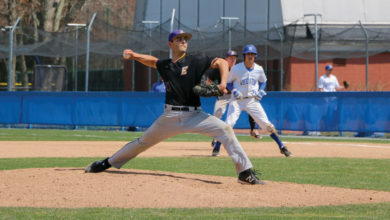 The Lions lost 23–10 to Smith College, which ranks sixth in the conference. Smith netted seven early goals in the first half, but the Lions fought back to close the gap to 14–8 by halftime. The Lions played the majority of the second half with one player down due to injuries. 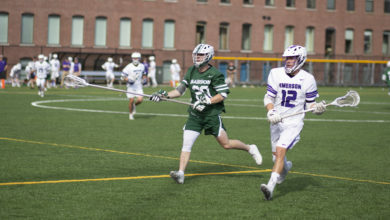 The second half ended with Smith outscoring Emerson 9–2. Sophomore midfielder Kelli Mark led the Lions in scoring with three goals. Freshman midfielder Julia Mallon, junior midfielder Jenna Tomsky, and junior midfielder Camille Mumford scored two goals each. Freshman midfielder Julia Burns netted one goal. “It’s the numbers, it’s tough, but we played a full 60 minutes and I’m really happy with how they played,” Koffman said. Senior defender Jen Litchfield and senior midfielder Chelsea Swift—both captains on the team—were celebrated by their friends and teammates in a pregame ceremony. 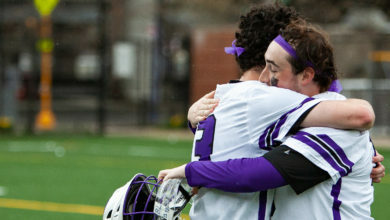 The two greeted their families on the field before the game while Nick Pezzillo, Emerson’s athletics communications director, listed their accomplishments on and off the field. 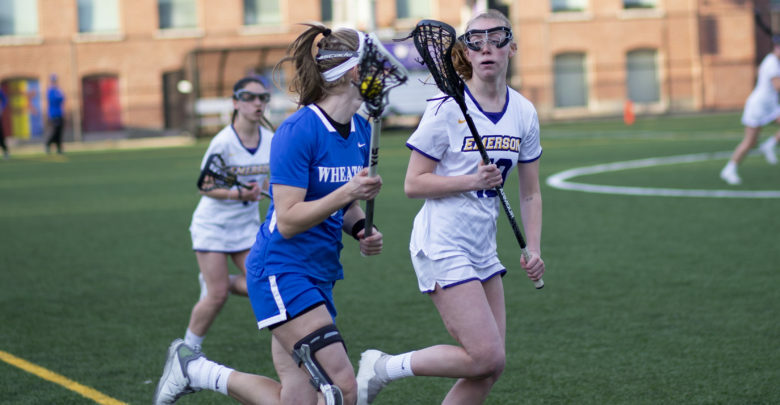 Litchfield joined the team during her freshman year at Emerson, and Koffman said Litchfield is the backbone of the team’s defense. “She works extremely hard and has a real attitude, so she will definitely be hard to replace next year,” Koffman said. Litchfield played in a total of 26 games and started in 21 during her Emerson career. Litchfield said the team created a welcoming environment, and it was exactly where she wanted to be as a player. Litchfield said she will remember her hard work and dedication to the team long after she graduates. Swift joined the team during her senior year and played in three games this season. She said the players’ friendly attitudes convinced her to join. The Lions will play their next game against the Massachusetts Institute of Technology on April 17 at 4 p.m.